I tried to apply the discount code for the coding class but it doesn’t work. Is the discount still available? 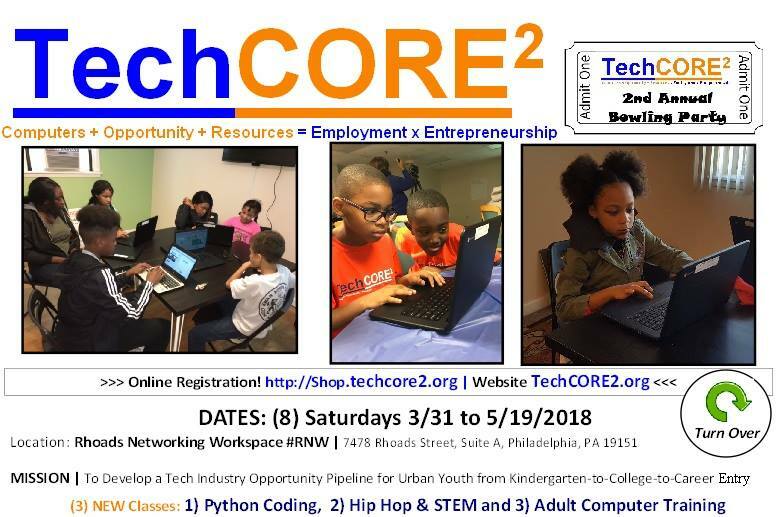 Please send e-mail to joel@techcore2.org with Discount Code you are attempting to use. Thank you. There are three time slots for class starts: 11:00 am, 1:00 pm and 3:00 pm. Classes are 90 minutes. There are 8 different classes, the 11 AM time slot is closed. For full program details please visit https://www.facebook.com/events/207028626531643/.